Learn more about the future of Dyson House here. LIKE DYSON HOUSE ON FACEBOOK! The Dyson House Listening Room was founded by John Burns and Kevin Sweeney, both natives of Baton Rouge. The two met in high school and have shared a love for music ever since. Read their feature in The Advocate by Matthew Sigur here to learn more about the start of the Dyson House as a listening room. The Dyson House Listening Room is committed to unifying the Greater Baton Rouge community through culture and music and cultivating unique and original talent that strengthens the local music economy. A robust live music economy enhances a city’s value in a number of important ways. It drives tourism, supports the development of a creative community, helps build a city’s brand, strengthens the social fabric and fuels economic growth. A solid local arts scene is also an important part of attracting and retaining a healthy workforce pipeline among young professionals who are discriminating in their selection of the cities in which they live and work. In turn, this influences the decisions made by businesses about where to invest and grow. 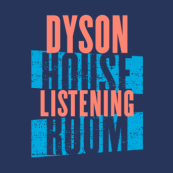 Dyson House increases educational and professional development opportunities for musicians by offering them a place to play to a small, intimate audience and gain valuable performance experience and the opportunity to promote their music. Also, Baton Rouge Community College offers an Associate of Applied Science in Entertainment Technologies degree and Dyson House is able to provide an on-the-job training ground where students can practice their craft and prepare for local jobs.